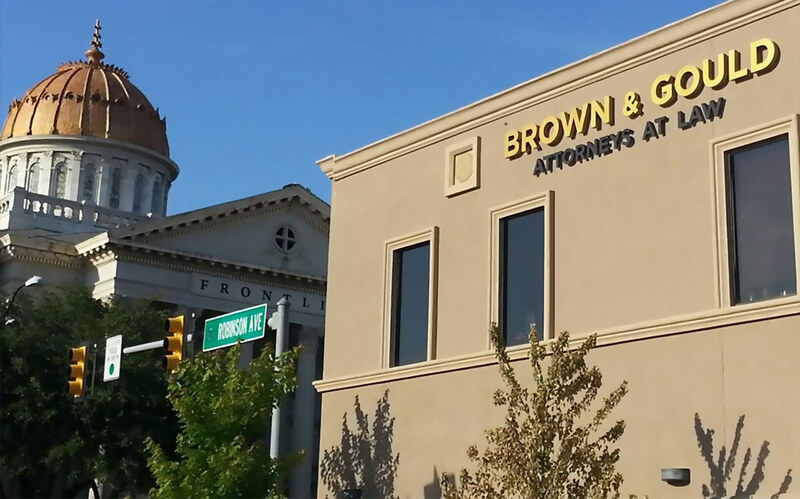 At Brown & Gould, PLLC, we have an extensive understanding of insurance laws and have represented clients with insurance disputes for decades. Our firm is well-respected throughout the community as attorneys who provide effective and dedicated representation for our clients. If you are debating purchasing insurance or have already had an insurance claim denied, please consult with a skilled Oklahoma City denied insurance claim lawyer today. By planning ahead and purchasing the right policies, we can help you prevent future problems from arising. Call us at 405-235-4500 today. We are also skilled at resolving claims that have been denied in bad faith. If you are concerned that the insurance company is delaying or wrongfully denying your claims, do not hesitate to speak with a skilled insurance claim attorney. When you are running your own business, there are many things that can go wrong. Employees can become hurt, equipment can cause injuries to individuals, drivers can get into crashes and more. When things like this happen, your insurance policy is supposed to kick in and cover your losses. The truth of the matter is that many insurance providers will claim that your particular loss is not covered under your general liability policy. At our Oklahoma law firm, you can rely on us to thoroughly analyze your policy and provide you with upfront, honest answers to whether or not you have a claim. We will then fight for your rights throughout negotiations and in court if need be. A main issue for any health insurance claim is whether or not your coverage rights are governed (and in many cases limited) by federal law and, if so, whether you have navigated the proper procedural hoops to protect your rights. Because of the potential legal traps involved in such a claim, it is critical to have a lawyer in your corner early in the claims process, before the insurance company has an opportunity to deny your claim. At Brown & Gould, PLLC, we have helped numerous clients with health insurance claims governed by federal law. You can rely on us to explain how state and federal laws will affect your rights. We will lay out all of your options and guide you through them. For experienced guidance through your insurance claim concerns, contact our Oklahoma City denied insurance claim law firm at 405-235-4500 to schedule a free initial consultation.